Sometimes candy satisfies the deepest cravings. Especially Reese’s Peanut Butter Cups. But in our house, we limit our processed sugars and chemicals in food. This pretty much rules out candy…but it doesn’t eliminate my cravings for a sweet treat! I decided to try my hand at making chocolate. At first it felt daunting. I mean, there’s a reason chocolate is so beloved across the globe! But once I discovered a few basic ingredients, it was easy to make my favorite chocolate candies. Coconut oil is a healthy fat that helps the chocolate solidify. Vanilla extract adds depth to the flavor. And the combination of cocoa powder and honey allows me to select how “milky” or how “dark” I want my treat to be. One of the first things I had to try was a knock-off Reese (because peanut butter is one of my favorite foods). I combined a few recipes that were experiments until I personalized it to my liking. And to my friend’s liking too! While I was experimenting with this recipe, we had 2 friends living with us. They were newly married and just moved to our area, so they stayed with us for a month while they were house hunting. My friend gobbled these up and to this day still requests this dessert when we get together! 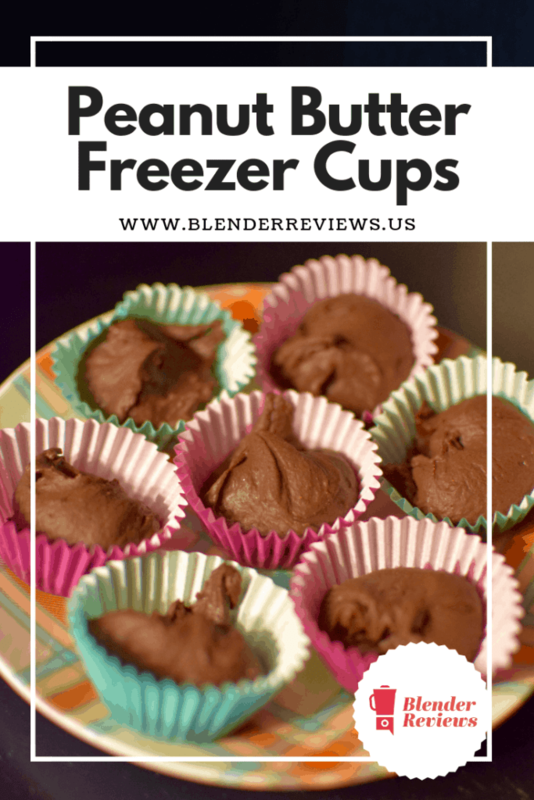 I used to make these peanut butter freezer cups by hand, whisking all of the ingredients together in a measuring cup. By the time the mixture was thoroughly combined, by hands and wrists were exhausted! But, ta-da, the Vitamix Aer cup does the trick. The disc blade pulls all of the ingredients together like magic. No arm workout required. An all-natural no-bake dessert that will satisfy your deepest cravings for peanut butter or chocolate! Combine all ingredients into the Vitamix Aer container. Turn on a run on a low speed for 45 seconds, or until all the ingredients are combined into a silky mixture. Place mini cupcake paper liners onto a baking sheet. Fill each cup with the mixture. Place the tray in the freezer for at least 4 hours. Allow to sit for 1 minute on the counter before eating. Store in a sealed container/ziplock in the freezer. To make it more like milk chocolate, use 1-2 Tbsp more honey. To make it more like dark chocolate, use 1-2Tbsp less honey.